The Zone Diet is popular. The weight loss plan that uses more carbohydrates than proteins and more proteins than fat is unique. The Zone Diet is designed to resist addiction to carbohydrates. Many of us are addicted to carbohydrates. We eat them in a semi-trance. We binge on potato chips, chocolate, pizza, pasta, crackers, high sugar drinks pastries or crackers or other carbohydrate favorites. Both alcohol and MSG are capable of setting off these blind cravings for carbohydrates. Recently this type of addition has become a subject of serious scientific study. Eating carbohydrates can create an imbalance of insulin or hormones, resulting in addictive cravings. By designing your meals, The Zone Diet focuses on carbohydrate addiction in addition to other issues. This program costs, But so do other weight management plans. Many advocates are quite vocal in their support of the Zone Diet including movie stars and others with high-profiles. Zone Diet patients report. "I've never had so much energy!" or "I just feel better about myself!" or "I feel so strong!" They contend that Zone Dieters lose weight in just a few days after going on the diet. In one month’s time allegedly you lose weight consistently and feel vibrant. Using the Zone Diet adapts your perception of mealtime. 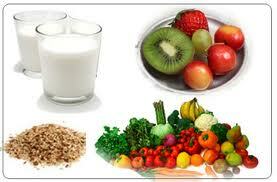 The intent is to induce you to choose this diet plan for the rest of your life. The Zone Diet is designed scientifically and gives you meal plans and multitudes of recipes. The intent of all of this support is to bring you into “The Zone”. The Zone concept began with professional athletes and spread easily into mainstream language. It describes the place (Zone) where (or when) you discover you perform as effortlessly and as perfectly as you can imagine. The goal of the Zone Diet is to stay in the "Zone" most of the time. You can manage your food intake to prevent your body and mind from constantly bouncing between high and low energy levels. By moderating metabolism, the Zone Diet brings its advocates into the Zone regularly and they are able to perform regularly at peak metabolic levels. The Zone Diet provides meal plans with the specific proteins individuals need. This amount and type is formulated based on the lean body mass and a formula based on the dieter’s activity level. The Zone Diet plan supplies the right fats in the correct percentage. This is approximately thirty percent of the calories in each meal. Meals are balanced at a ratio of three proteins for each carbohydrate. Eating in moderation is essential. Frequent and small meals are part of the Zone Diet approach. It does appear to be a well-constructed and balanced approach to weight and meal management that seems to be effective for many people. The Zone Diet is new enough that the long-term results and risks are uncertain.